Reviews, press releases, articles, tutorials, coupons code for av voice changer software. 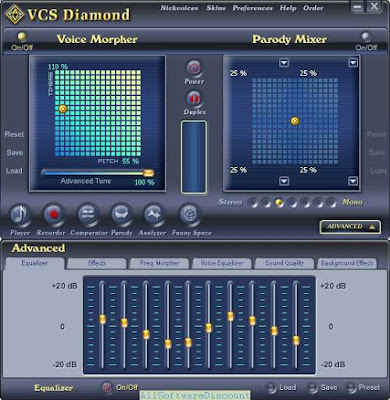 From June 05 through June 17, 2014, you can get AV Voice Changer Software 8.0 Diamond for FREE when purchasing the Media Player Morpher PLUS 6.0. This is a really big deal for this Summer 2014 from Audio4fun. So, just take your chances.